Glenn S. Kubota, Micro/sys, Inc. 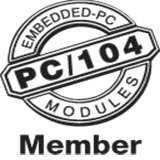 The EPIC specification clearly fills a need for a standard form factor between the PC/104 and EBX board sizes. Future phases of the EPIC specification will allow the technology to remain current, even as newer, faster buses become more prevalent.